Automatically record all inbound calls* - outbound call recording is only available with extensions for your virtual number. Pick out your new virtual number in our Online Shopping Cart. As a sub-brand of AVOXI, CallForwarding.com offers virtual numbers in 150+ countries! After choosing your new virtual number, choose your call recording plan - every plan includes 15 days of free call recording storage! Once your account is verified, you're all set! You can toggle call recording on and off from our user interface, access and playback recordings, and download recorded calls all from one location. Access your company's call recordings or customize your settings anytime by logging in to your Online User Interface! Pick out your new virtual number in our Online Shopping Cart. CallForwarding.com's parent company, AVOXI, is proud to offer virtual numbers in 150+ countries! After choosing your new virtual number, simply check that you would like to add call recording to your plan - every plan includes 15 days of call recording storage for free! Once your account is verified, you're all set! You can toggle call recording on and off from our user interface, access and playback recordings, and download recorded calls all from one location! Try out extended call recording for free for 30 days - then continue with extended storage starting at $6.99/month per line or switch to our free 15 day storage. Easily add new users and manage your workforce from your Online User Interface. Add a virtual phone to any account for outbound dialing. Set up a custom greeting for your callers and allow them to guide themselves to the right department. Upgrade your existing phone system instantly when you set up SIP trunking from your Online User Interface. Every plan includes 15 days of FREE inbound call recording. Extended inbound/outbound call recording plans start at just $6.99 per month. Get transcriptions of your voicemails sent directly to one or multiple emails. Create custom routing rules for your calls depending on the hour of day or block of dates. Customize your call forwarding rules, listen to call recording, view reports or call logs, and so much more from your Online User Interface. Choose custom ring rules like ringing multiple workers at once or one phone line at a time. CallForwarding.com is a sub-brand of AVOXI, a global cloud communications company. When can I use the call recording feature with my new virtual number? After purchasing a business number in the Online Shopping Cart, you can start using our services as soon as your account is verified! In most cases, account verification takes less than 15 minutes. Turning on call recording is easy - once you have your number picked out in our online shopping cart, just ensure select call recording is checked off. Initially, you will automatically be enrolled in our 30 day extended call recording trial. Once the trial period ends, you can choose to continue with extended call recording starting at $6.99/month per line, or switch to our free 15 day call recording storage. What happens after I buy a business phone number online? After your purchase, a CallForwarding/AVOXI representative will contact you to verify your account. In most cases, account verification takes just a few minutes. As soon as your account is verified, you can start using the service! We will send your login credentials to your business email address. From there, you can set up additional features like outbound calling and customize your forwarding rules. 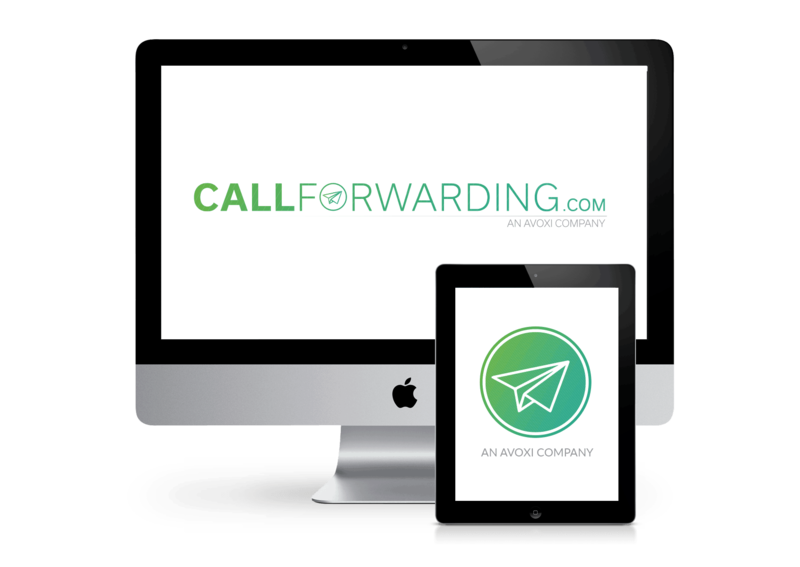 What other services can CallForwarding.com offer to help my business? CallForwarding.com helps you set up toll free and local virtual business phone numbers around the world. Our parent company, AVOXI, is also a top provider of cloud contact center solutions and hosted phone systems. Still Have Questions About Call Recording Services? We're here to help! Contact us today for more information or to request custom pricing.